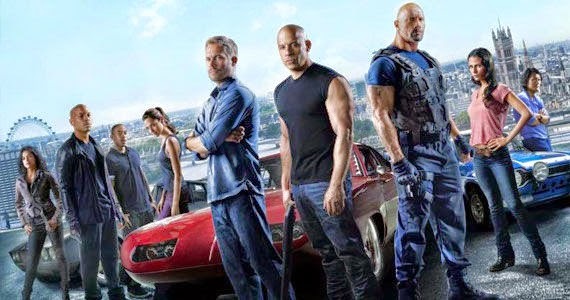 I bet many of you have watched the long awaited Fast and Furious 7 movie already but I think there are still many who haven't got the chance to watch it yet either, you know since on last weekend the tickets for every showing was selling so fast like hotcakes. I'm the type who would actually buy my movie tickets on the day I want to watch it but for the sake of getting good seats, I even went to KLCC one day earlier to purchase them! I was accompanied by best friend Qila one the day and we went out early since we bought the tickets for the 11.30 AM showing time. Strangely enough although we arrived quite early at KLCC, we still ended up having both of us eating lunch in the cinema . This was not the first time it happened too! When I went to watch Cinderella with her last time, we also had lunch inside the cinema. Anyway, I don't want to give away too much spoiler for the movie in case you haven't seen it yet but I want to say the ending tribute for Brian / Paul Walker had me end up in tears. Yeah, there goes my makeup but I wasn't in the mood to care. Objectively speaking, for me the storyline wasn't as epic as the previous fifth and sixth installment but it's still amazing in its own league. So if you can't decide whether to watch it or not, I recommend you to go. After movie and a few shopping stops which includes my first MAC lipstick purchase (which you can read about here) we decided to catch a break at the Tokyo Pastry cafe in Avenue K. After all the eating in the cinema we were too full to opt for the afternoon tea set so we opted for a lighter meal. I decided to get the Raspberry Lychee soda and my friend ordered the Ice Peach Tea. We shared the Tiramisu cake because we didn't think we could finish it on our own. 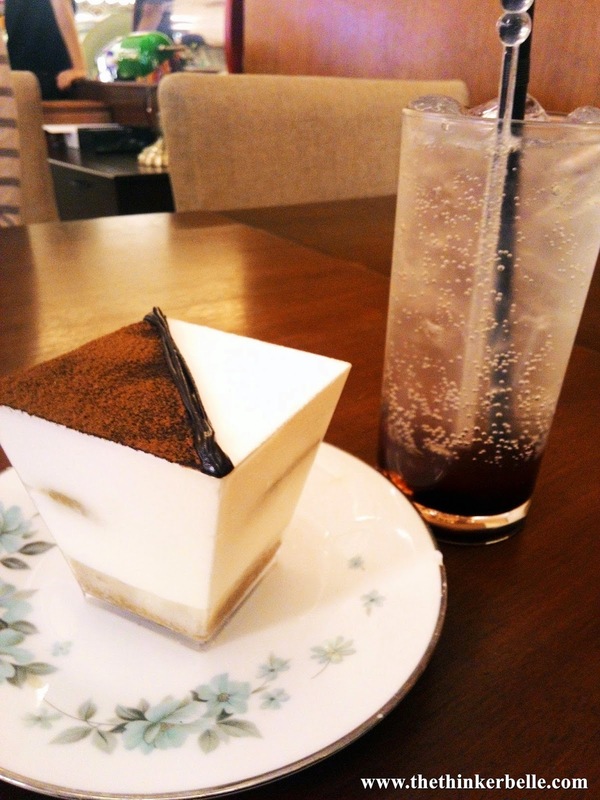 My friend think the Tiramisu cake lacked the strong coffee flavour meanwhile I liked it the way it was. I'm a huge fan of coffee when it comes to drinks but coffee in desserts or chocolates is not exactly my cup of tea. That's why the Tiramisu cake tasted so good to me since the coffee flavour was not too overpowering. I also ordered some Mushroom soup that came with a slice of garlic bread and Qila went for Cajun fries. The mushroom soup was super amazing as it was thick and creamy and we can still taste bits of shredded mushroom in it. I forgot to take a picture of the fries but it was basically french fries with some pepper and salt on it but it was still nice to have it with the soup though. I liked the ambiance of cafe and the servers were very friendly. I might go again to try their afternoon tea set as I saw almost every table around us ordered them on that day. The price is also affordable with price range similar to other coffee shops and cafe. There were pasta on the menu too so you can also ordered something heavier if you're feeling hungry. The location of the cafe is easy to find as it's exactly in front of Muji and Sushi Zanmai. Just take the escalator near the Baskin and Robin outlet on the ground floor to the floor above it and you'll see the cafe. 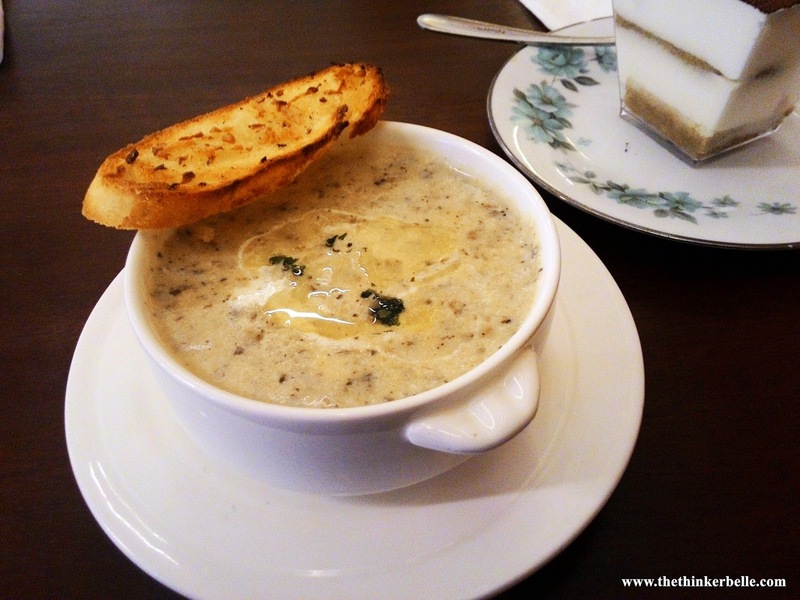 That mushroom soup (T_T) i waaanntt! I like the interior of Tokyo Pastry a lot, before I tried it I've been eyeing the shop because I like the feel of it.